Children are given a length of card to look at - it is taken away and they then have to find objects as close in length to the card as possible. They then use this object to measure a longer distance and calculate its length. The group with the closest measurement 'wins'! Start off by discussing what is used to measure length. If an object was over 30cm, how could a 30cm ruler be used to measure it? Explain that they will not only have to use the above method to measure a longer object today (if they didn't work it out- mark out consecutive lengths of the ruler and total them), but they will also have to use their knowledge of length, and investigative skills, to create their own measuring tool! Children are to be shown a length of card- or these can be handed out and taken back in after a given time. They are to 'remember' how long it was visually/ or think of some way to record its length- how far up an arm does it go if placed at tips of fingers etc. Once they have done this, they are to explore the area to find an object with a length as close to the card as possible. To really develop this understanding of a set length, each group can have a chance to re-look at the original card length. I will use the example of a skipping rope as the object to measure. After a set time, all the groups are to come together. They are to use the objects they have found to measure skipping ropes. Once they have worked out how many times the object can be used to make up the length of the skipping rope, they total that. Once all groups have measured their objects, a measuring tape can be used to check. The group the closest to the length wins! Presumably the objects they find will not add together exactly to make the required length. Discussion of fractions/remainders etc. can then be used to find out a more accurate total. 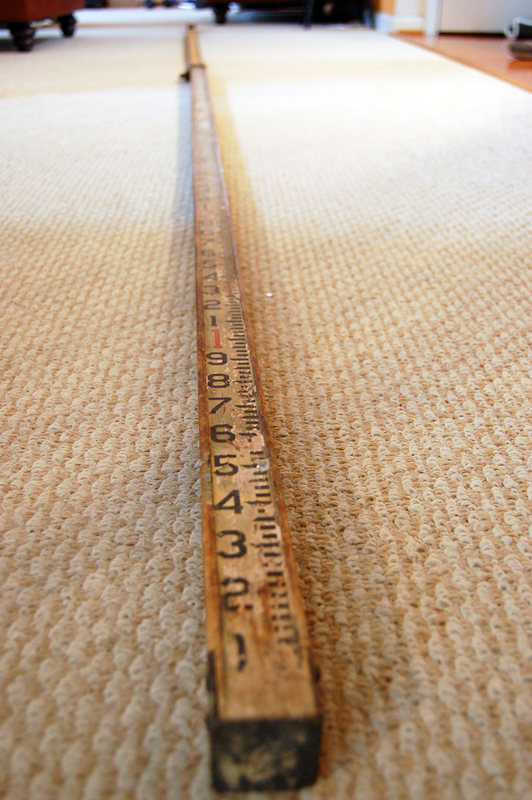 Children could be allowed to measure their objects first and find out their exact length. E.g. 12cm. They could use this knowledge to measure the larger objects more accurately.